Previously, we discussed how to set up MariaDB Galera cluster on Ubuntu and how to encrypt replication traffic in Galera cluster. In this tutorial, we will be learning how to add an asynchronous replication slave to Galera cluster, which means the Galera cluster will be acting as a master. Remember that replication is not a replacement for backup. Although there are multiple nodes in Galera cluster holding a copy of your database, if a DROP DATABASE command is accidentally run on one of the nodes in the cluster, all other nodes will drop the database. We are going to set up master-slave replication and the Galera cluster will be acting a master. You will need another server acting as slave. Once the setup is done, you can take backups on the slave using mysqldump and the workload in Galera cluster won’t be interrupted when a backup is created. 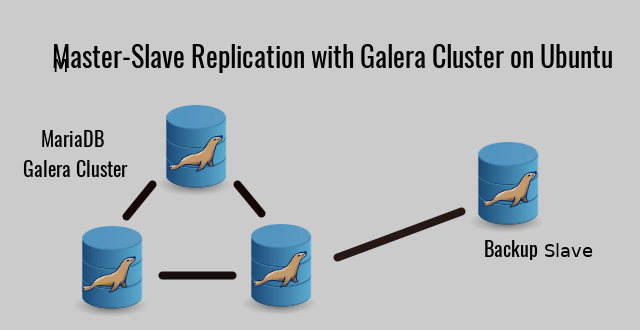 Hint: Galera cluster uses synchronous replication between the nodes, whereas the traditional MariaDB master-slave replication uses asynchronous replication between master and slave. The overall steps are similar to setting up a traditional master-slave replication, but you need to adjust some settings for the Galera master. You should have already set up a Galera cluster with at least 3 nodes and you need to prepare another server as slave. Ideally, the Galera master and slave should use the same MariaDB version. Replication between different MariaDB versions may cause problems. If you run MariaDB database server on Ubuntu, then you should either install MariaDB from Ubuntu repository on all the servers, or install the latest MariaDB version from MariaDB.org repository on all the servers. When following the steps below, you should apply master configuraions on all nodes in Galera cluster, so if one node goes down, you can quickly configure the slave to replicate from another node. Master-slave replication is based on the binary log. You must enable binary logging on the master server in order for replication to work. The Galera nodes have already enabled binary logging in row format. (Galera only supports row-based binary log format.) We need to edit some other parameters, so open the MariaDB main configuration file. Add the following lines in the [mysqld] unit. In the above configuration, we enabled GTID mode for write-set replication. wsrep_gtid_domain_id and server-id need to set to the same value on all nodes in the cluster. By default, write-set replication in Galera are not written to binary log. In order for a node in Galera cluster to replicate write-sets to an asynchronous slave, log-slave-updates must be enabled on the Galera master. If this isn’t enabled, then changes replicated from another node in the cluster won’t be replicated to the asynchronous slave. It’s recommended that you enable log-slave-updates on all nodes in the cluster. If one node in the cluster goes offline, you can configure the slave to replicate from another node in the cluster. The binary log files needs to be set to the same path on all nodes in the cluster. gitd_domain_id should be set to a different value on all nodes in Galera cluster and the value should be different from the value of wsrep_gtid_domain_id. Save and close the file. After you apply this configuration on all nodes in Galera cluster, you need to restart the whole cluster for the changes to take effect. To restart the cluster, you need to shut down all MariaDB server one at a time. Then run the following command on the last node that leaves the cluster to bootstrap the cluster. Next, you need to start MariaDB server on other nodes one at a time. When the master node sits on the public Internet, it’s recommended to restrict access to port 3306 (default MariaDB port). For example, you can use UFW to create an IP address whitelist, allowing only the slave’s IP addresses to connect to port 3306. After that, we need to add an replication user on the master server. The slave server will use this user to remotely log into master server and request binary logs. Log into MariaDB monitor. Then create a user and grant replication slave privilege to this user. Replace the red text with your preferred username and password. 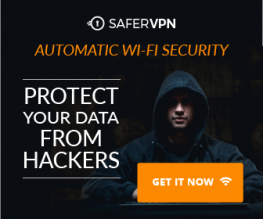 If the slave is going to connect to the master over the public Internet, it’s a good practice to enforce TLS encryption. Then flush the privilege table. This database user will be replicated to other nodes in the cluster. Open the main MariaDB configuration file on the slave. Find the Logging and Replication section in [mysqld] unit and Add the following lines. In the above configuration, we need to set the server_id to a value different than the one on Galera master. The relay log needs to be enabled for master-slave replication. The value of gtid_domain_id on slave should be different than the value of wsrep_gtid_domain_id and gtid_domain_id on Galera master. Master-slave replication does not require binary logging on the slave, but if you are going to take backups on the slave using mysqldump, then you need to enable binary logging. The format of the binary log can be different than the format used on Galera master. If the slave is going to act a master of another slave, add the following line as well. Save and close the file. Then restart the slave MariaDB server for the changes to take effect. Sometimes MariaDB may fail to restart. Run systemctl status mariadb to check the status. Choose one Galera node as the master and log into the master MariaDB monitor. Run the following command to prevent any further changes to databases. This master node will become desynced from the rest of the cluster, which can continue running as normal. It will sync with other nodes again when we unlock the tables later. Also note that if this master node is serving a website, the above command can cause the website go offline. Then obtain the binary log GTID (global transaction ID) position with the following command. Do NOT exit MariaDB monitor yet, because exiting it now will release the lock. Now open another terminal window and SSH into your master server. Use mysqldump utility to dump the database to a .sql file. Your can obtain the database name by running the following command at the MariaDB monitor. After the database is dumped to disk, you can unlock tables on master server by running the following command at the MariaDB monitor. Use the scp command or whatever method you prefer to copy this SQL file to your slave server. To import the single database, log into the slave MariaDB monitor. Create a blank database with the same name. Import the database into the slave MariaDB server with the following command. To keep data consistent with the master, it is advisable to enable read-only mode on the slave. Replication will work as usual in read-only mode. Open the 50-server.cnf file on the slave. Add the following line in [mysqld] unit to enable read-only mode. Users with SUPER privilege (like root) can still write to the database, so you should be careful when granting privileges to users. If you don’t want anyone to be able to change/delete the database, you can add the following line in [mysqld] unit. Save and close the file. Then restart MariaDB for the change to take effect. Note: If the slave and master are in a private network, your don’t have to do this step. Skip to step 5. If the slave is going to connect to the master over the public Internet, it is necessary to enable TLS encryption to prevent traffic snooping. Your server may have a web server with TLS enabled, so you can use that TLS certificate for MariaDB as well. For example, I have enabled TLS in my Nginx web server with Let’s Encrypt. To enable TLS in MariaDB, open the 50-server.cnf file. Save and close the file. The mysql user needs permission to access the above SSL files, so you need to grant read permission with the following commands. Then restart the master node for the changes to take effect. Your may be wondering why you don’t need to grant the www-data user read permission of the SSL files. That’s because Apache or Nginx has a master process running as root user. However, all MariaDB processes are running as mysql user. After MariaDB restarts, log into MariaDB monitor and run the following command to check if SSL is successfully enabled. If the value is “Yes”, then SSL is enabled. If the value is “DISABLED”, that means there are something wrong in your SSL configuration. Check the MariaDB error log (/var/log/mysql/error.log) to find the reason. The MariaDB server binary from Debian/Ubuntu repository is statically linked with MariaDB’s bundled YaSSL library. The MariaDB binary from the MariaDB.org repository is dynamically linked with the system’s TLS library, usually OpenSSL. You can log into MariaDB monitor and run the following command to check which SSL library your MariaDB server is using. If you would like to use TLS 1.3 in MariaDB, then you need to install MariaDB from MariaDB.org repository and install OpenSSL 1.1.1 on your Ubuntu system. You can test TLS connection by logging in from the slave with the following command. --ssl option enforces secure connection. In the output, you can see the SSL cipher in use. We are going to use GTID-based replication. Log into the slave MariaDB monitor and run the following command to set the gtid_slave_pos variable. Its value should be the same as the gtid_binlog_pos variable on the master. Then run the following command to create a connection profile. In the first line, the connection name is set to master01. master_use_gtid=slave_pos enables GTID (Global Transaction ID) in MariaDB replication, so you don’t need to use the old-style master_log_file and master_log_pos any more. The last line enforces TLS encryption. If the master and slave are in a secure private network, then you don’t have to enforce TLS encryption, so you can remove the last line. Notice that the last line ends with a semicolon. If you see no errors in the output, that means replication is running smoothly. You should see the following two “Yes” indicating everything is going well. If one of them is not “Yes”, then something is not right. Now if you make a change in your master database server, it will be replicated to the slave database server. The slave I/O thread connects to the master and requests binary log. If there are new transactions in the binary log, the slave I/O thread writes them to the relay log on the slave server. Then the slave SQL thread reads the relay log and executes new transactions in the database. If you want the replication to restart from a clean state, you can reset the replication. By default, when MariaDB server restarts, it resumes all stopped replication tasks. The first time you check the slave status, you might see the following error. This usually happens when the slave connects to the master the first time. If an error occurs, the replication will stop. We can skip this duplicate entry error by adding the following two line in [mysqld] unit in the MariaDB server configuration file (50-server.conf). Restart MariaDB. Then start the slave replication again. After a few moments, the Seconds_Behind_Master in the status output will get to zero. After that, you can remove the two lines in [mysqld] and restart MariaDB. If there are other errors, you can add the error code like below. It’s recommended that you only use the slave-skip-errors option when you first start the replication. Use this option later could cause data inconsistency between master and slave. First, change some data on the master, then run the following command on the master MariaDB monitor. Next, on the slave MariaDB monitor, run the following command. If the two values are the same, then data changes on the master is replicated to the slave. You should change some data on each Galera node to see if they are all replicated to the slave. If the Galera master node goes offline, you can quickly configure the slave to replicate from another Galera node. First, stop the current slave. Then you need to change the IP address to another Galera node in the connection profile. Because we are using global transaction ID and all Galera nodes share the same gtid_binlog_pos at a given time (Recall that we set wsrep_gtid_domain_id and server-id to the same value on all nodes in the cluster), the slave can easily determine where to resume replication on the new master.